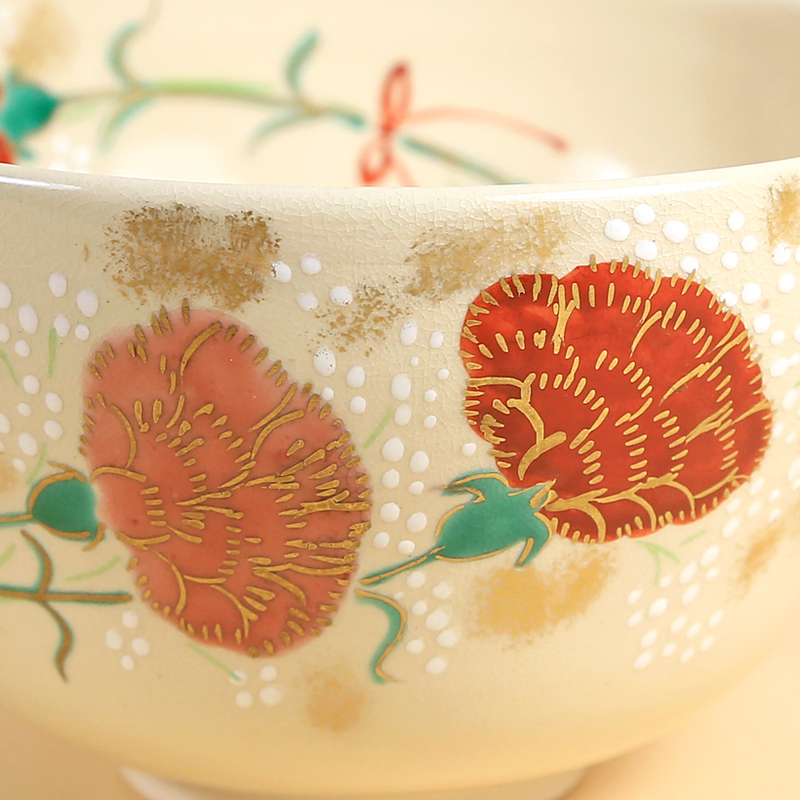 This lovely tea bowl highlights a group of colorful carnations, their rendering so fresh and full of life one can almost smell their spicy aroma. 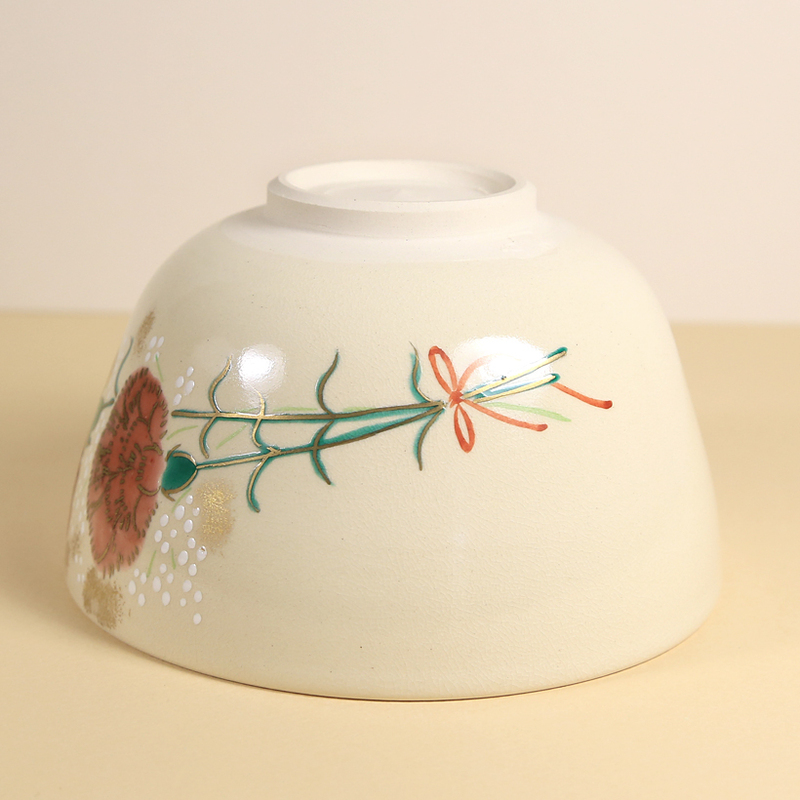 The potter has added a few additional flowers to the inside lip as well as some strokes of color inside and out. 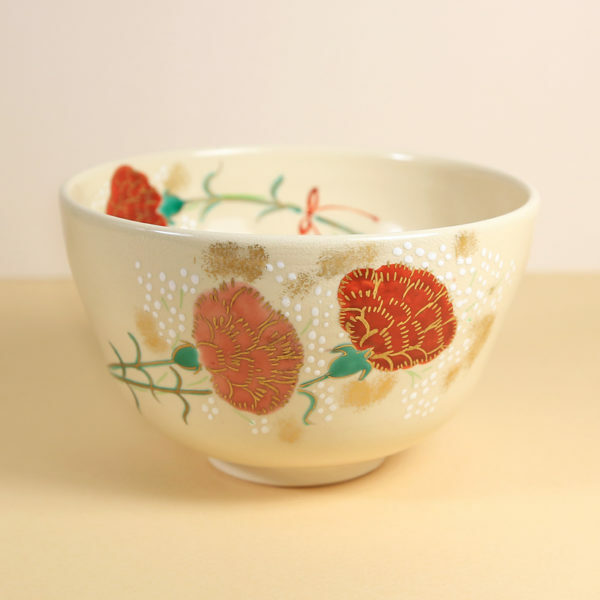 Of particular interest to tea bowl collectors is the fact that this tea bowl was made by a female potter, a pretty rare commodity in the male-dominated world of Chanoyu tea bowls. 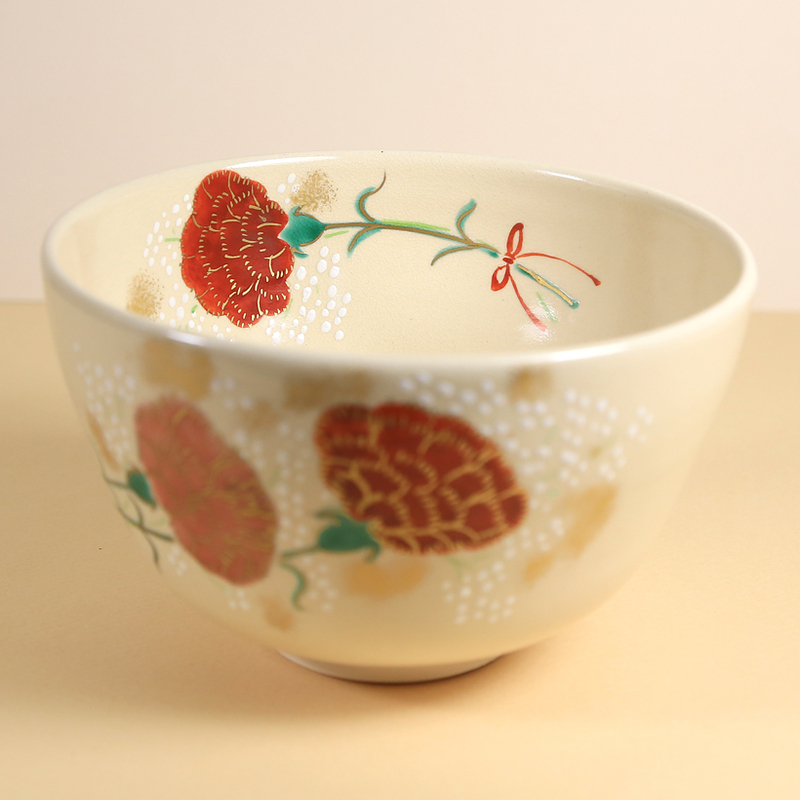 We like to support female potters both in Japan and China and hope to have more of Ms. Kawakami’s tea bowls in the future.